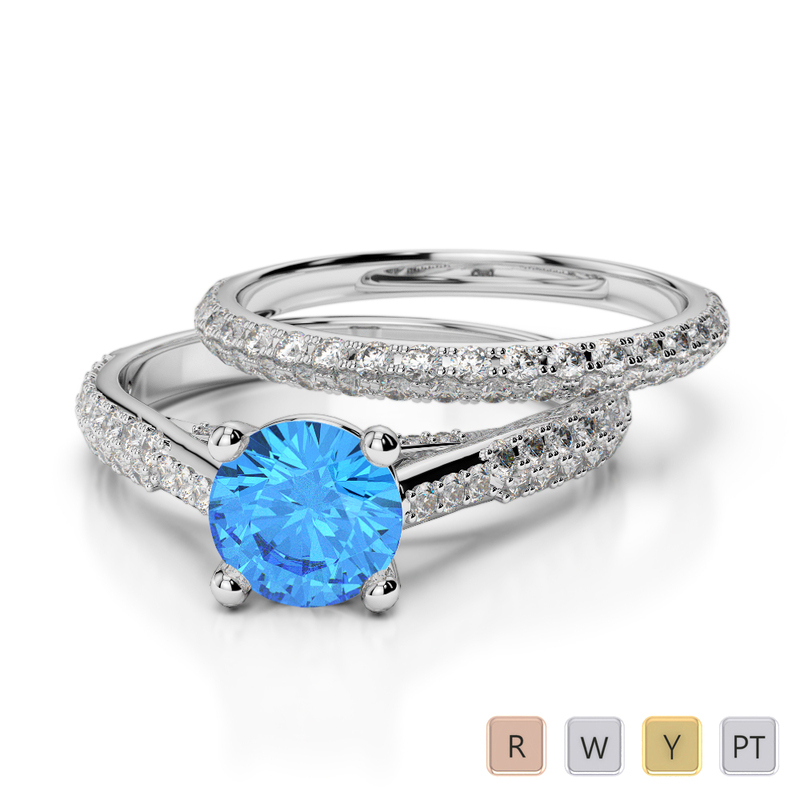 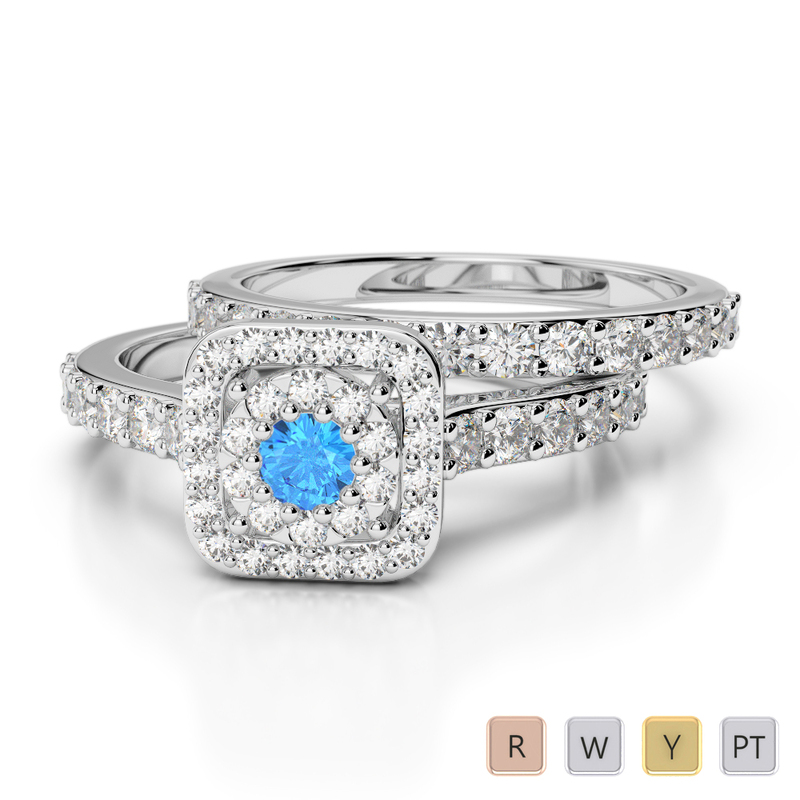 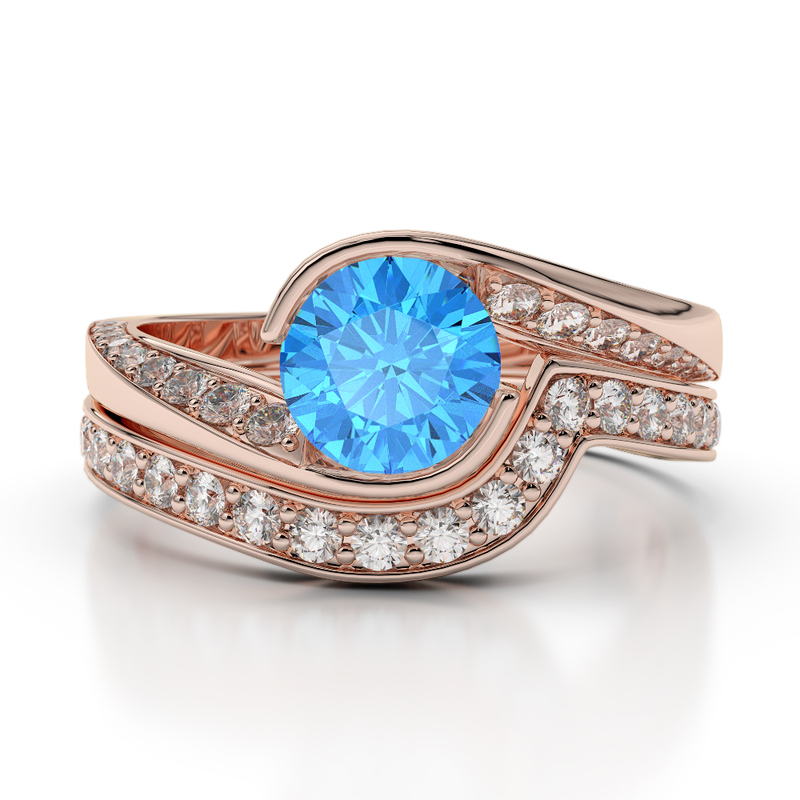 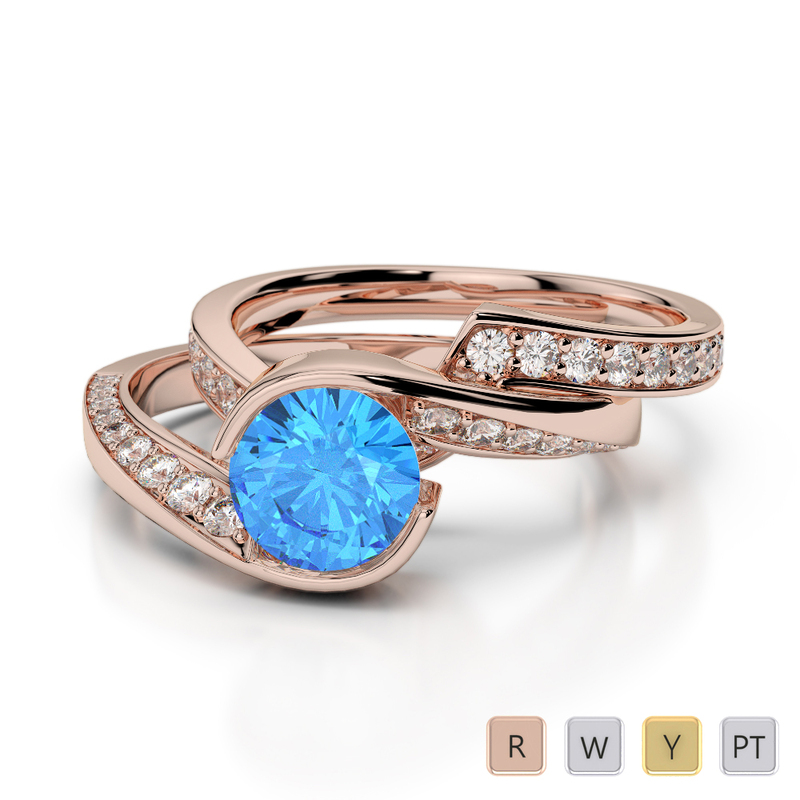 If you are looking for a truly breathtaking engagement ring and wedding ring, this gorgeous gold blue topaz and diamond bridal band set is the perfect choice. 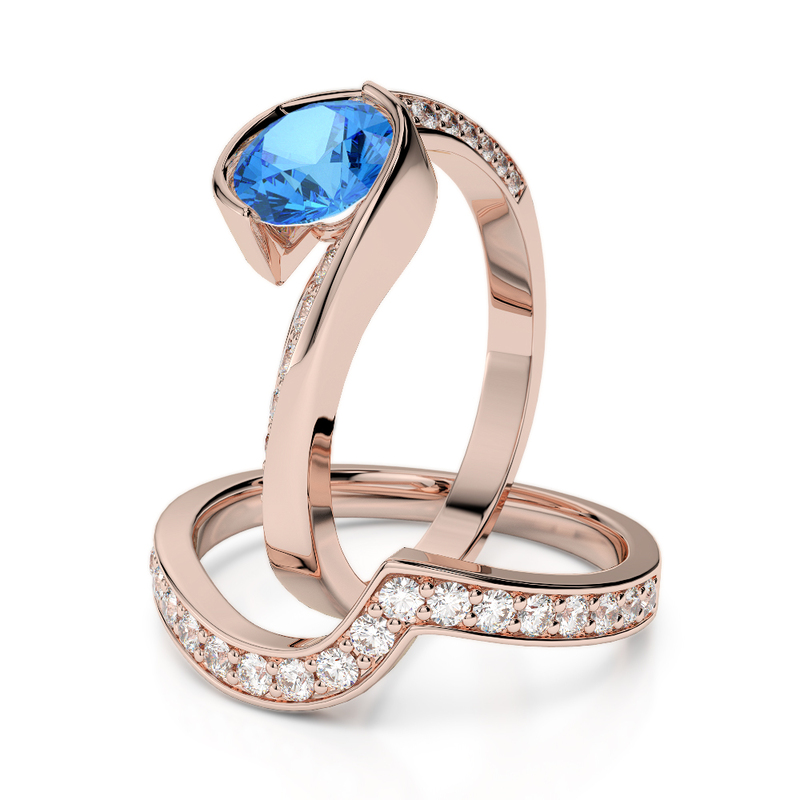 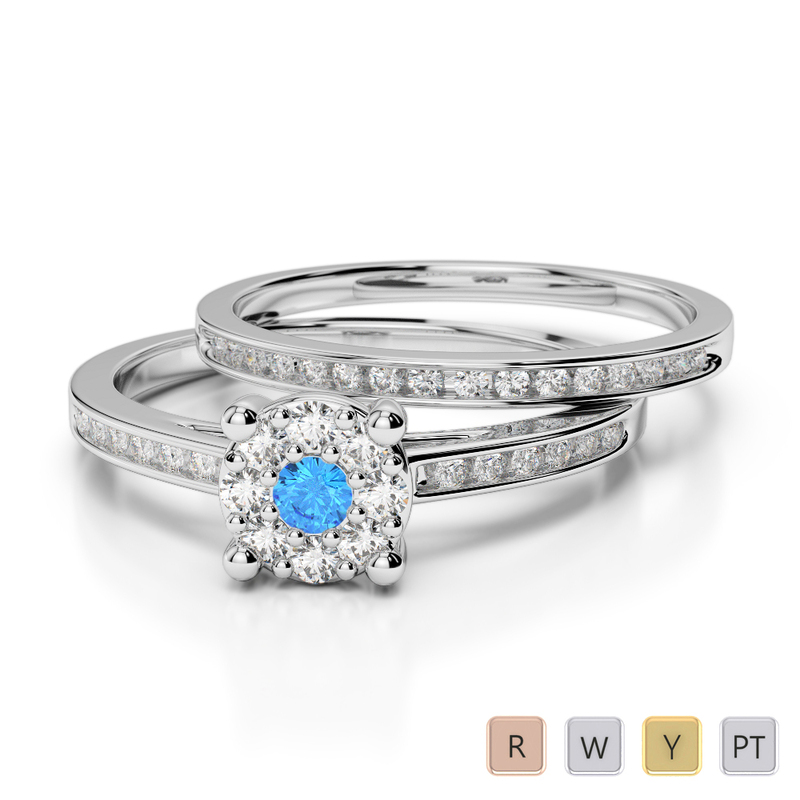 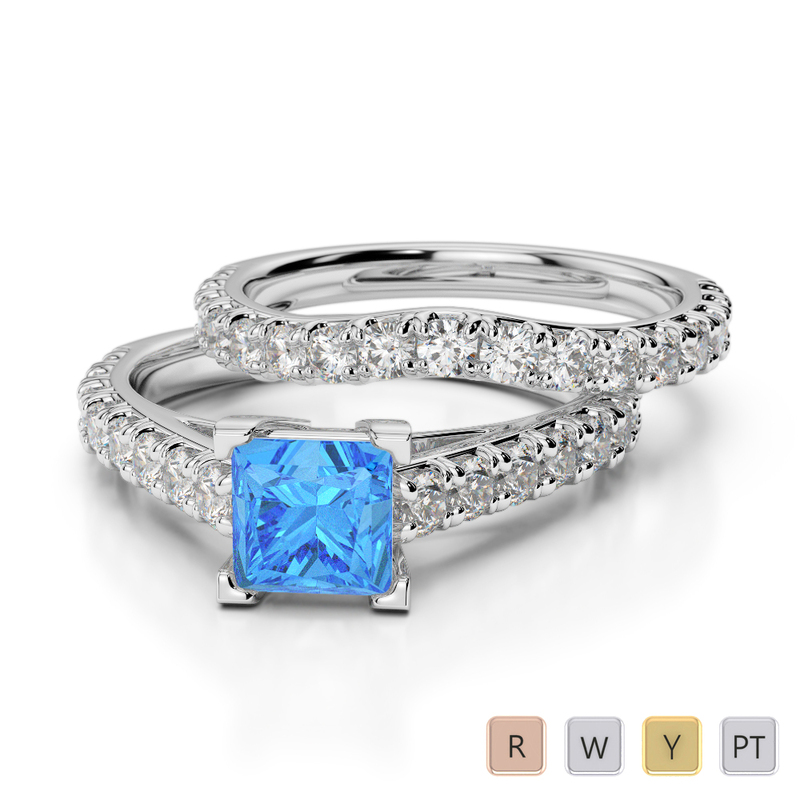 These bridal set rings feature an engagement ring set with a striking blue topaz at the Centre and round brilliant cut diamonds adorn the engagement ring and wedding ring to stunning effect. 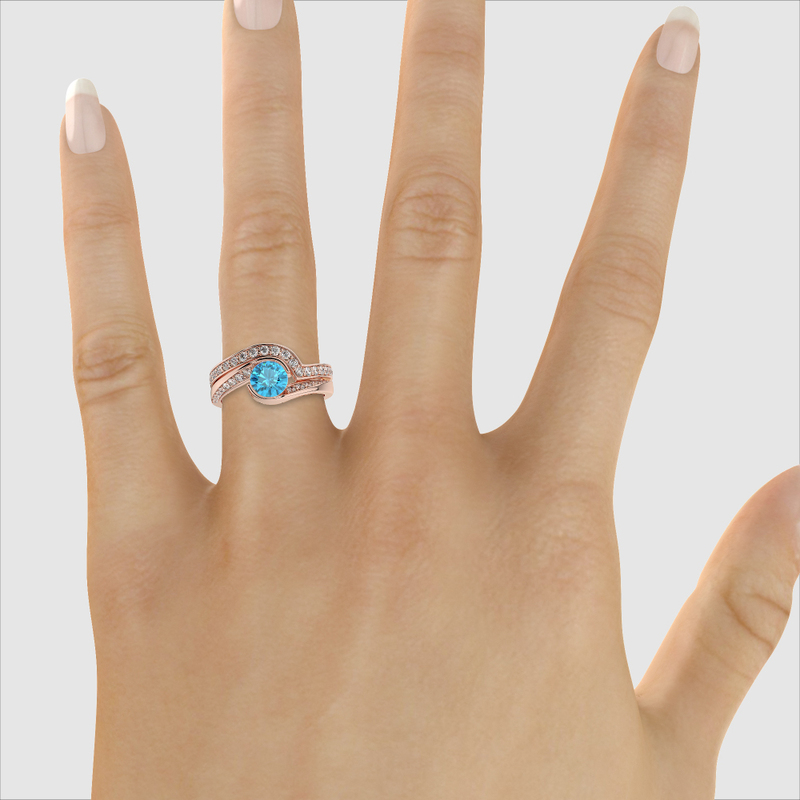 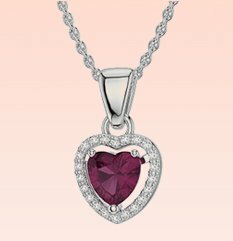 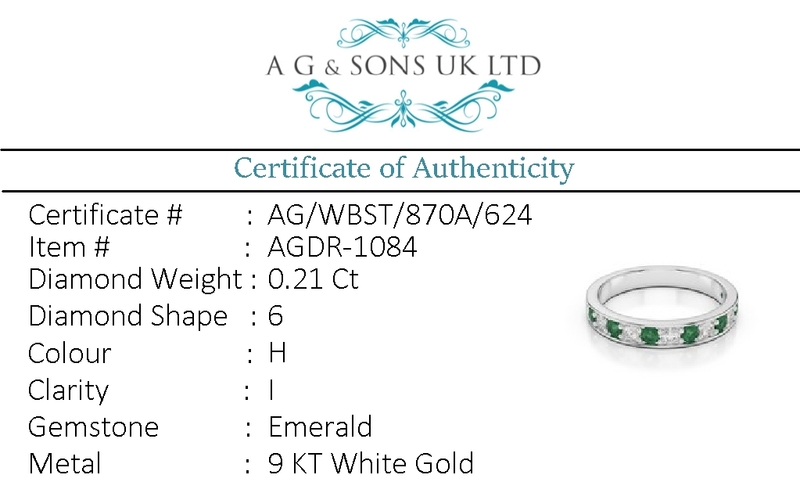 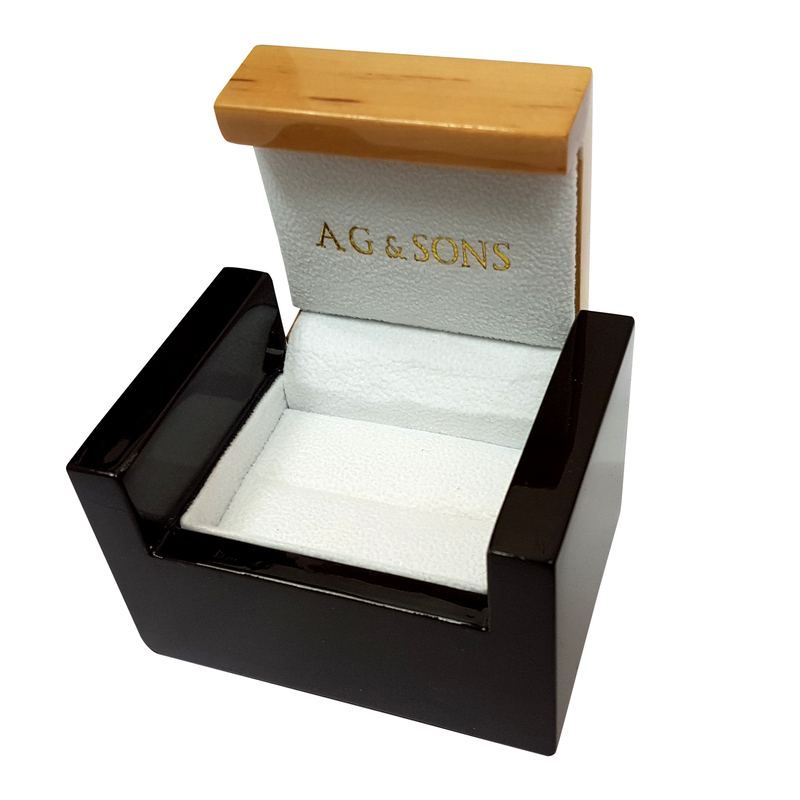 The engagement ring will look exquisite when worn on the finger alone, and the look completed with the fabulous wedding ring on your special day. 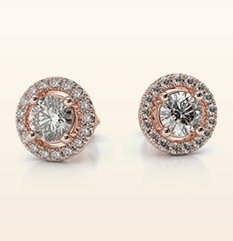 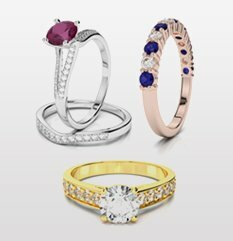 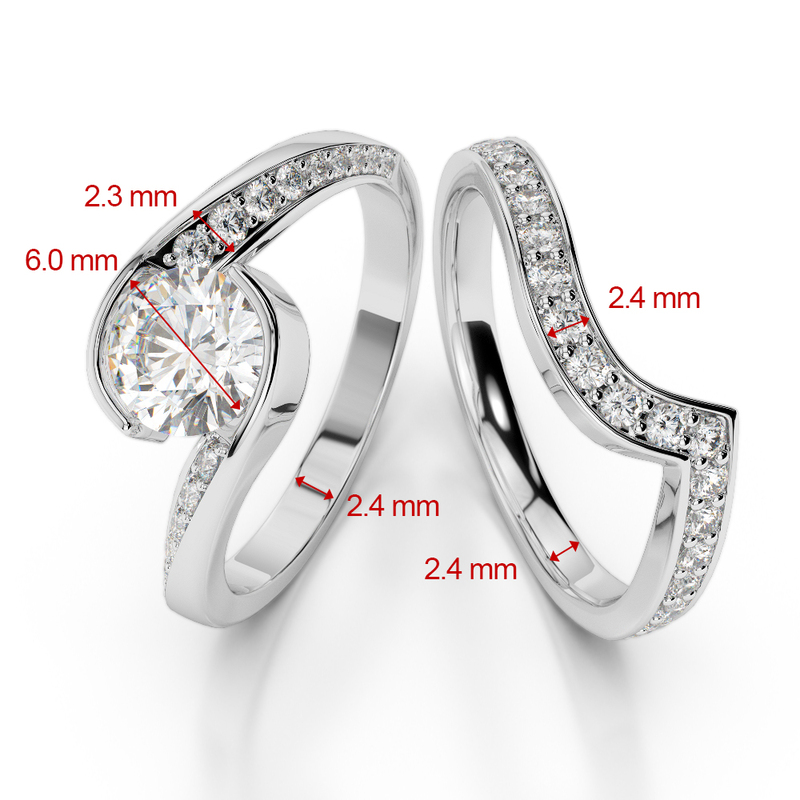 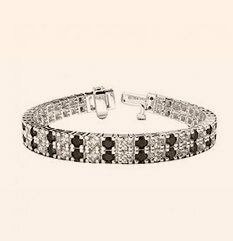 If you are looking for bridal set rings that are made to last forever, these are the rings to choose. 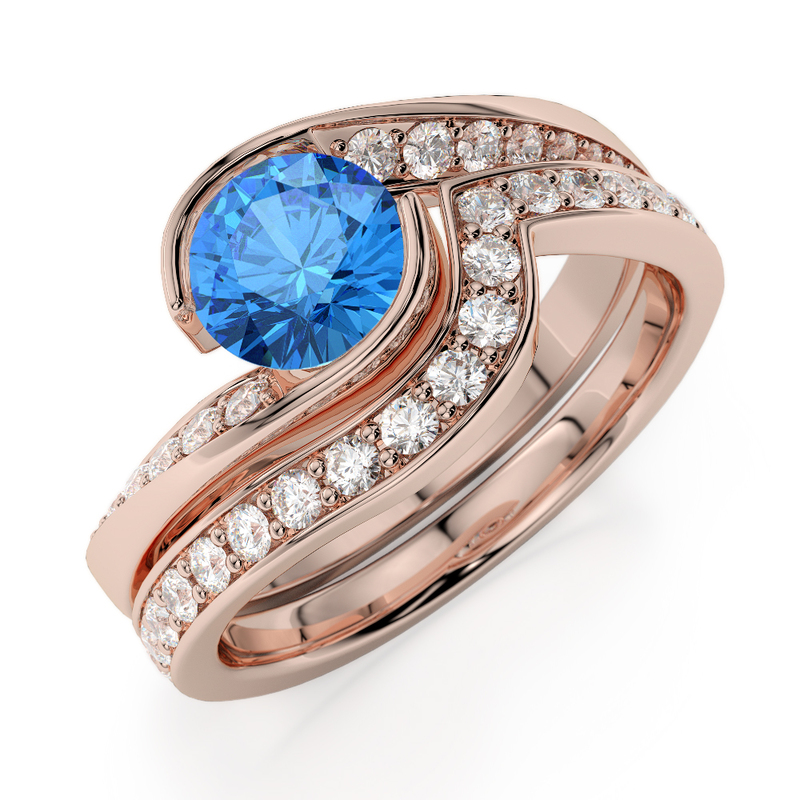 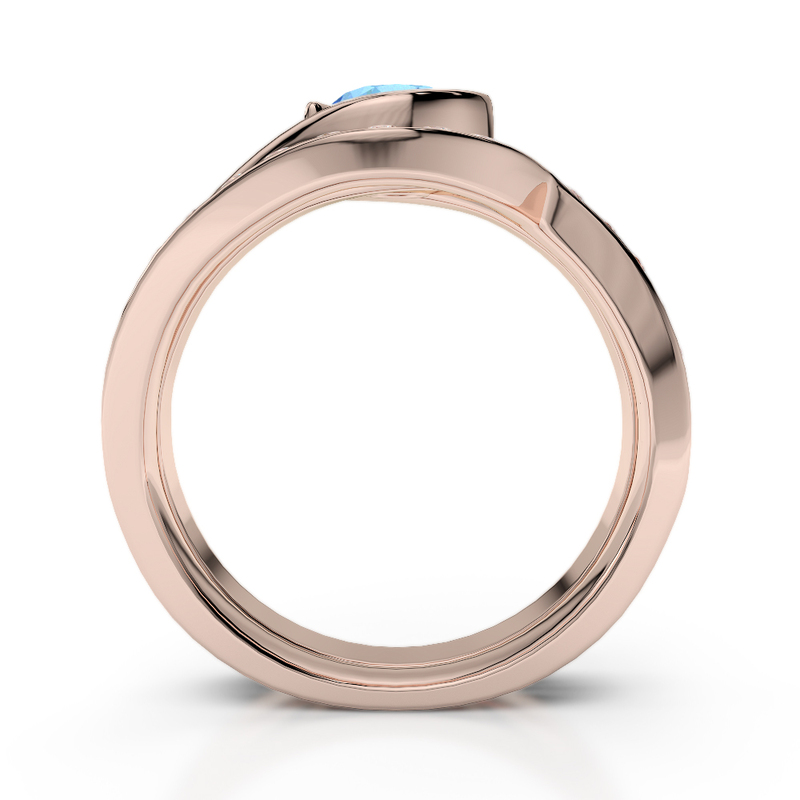 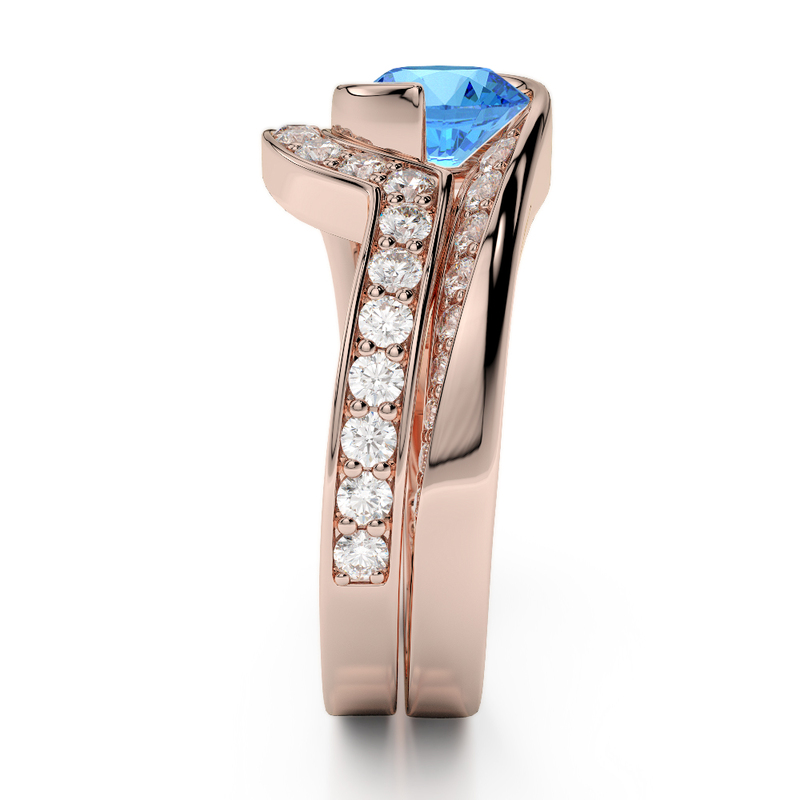 Gold / Platinum Round cut Blue Topaz and Diamond..
Gold / Platinum Round and Princess cut Blue Topaz..